Last weekend I was in Calgary visiting with my sister. It is no secret that Calgary’s economy has been suffering and what once was a city filled with growth is now a city in recession. I talked to my friends in HR and they had some interesting tips for job seekers. Some I don’t think I would of thought of on my own. For larger companies a lot of the resumes and cover letters are run through key word searches. The candidates are judged by how many times the crucial skills show up in their resume. For example, for accounting, words like ‘reconciliation’, ‘balance sheet’ and ‘cash flow statement’ are probably all words that a recruiter would be looking for. In white text (so its hidden), try to put a few of the key words in the margins or the footer of your resume to increase the re-occurance of key words. Click-able links make it easy for the job screener; Online portfolios or links to relevant content should be readily accessible for the recruiter to look through all your work experience. If you do have an online portfolio or website make sure it is up-to-date. The dates on the website should be updated and consistently add content to your portfolio. If you are currently employed make a list of some of your wins at work, so you can add them to your resume. Read the job description carefully and make sure that you try to pick out the key attributes the position is looking for. If the description does not ask for it, don’t include it in your cover letter. A cover letter should never be more than a page long, and the most important information must be in your first paragraph. Instead of wasting the text by putting, ” I am interesting in applying for this position at ABC Company.”, put the position in a separate line at the top of the page “Re: Job Title”, so you can get right into your qualifications in the first paragraph. Cover letters are very important, so try to put numerical values on all your career wins. Numbers speak volumes. Mention how many years of experience you have, if you have ever saved money for a company, or if you have increased revenues. Having concrete evidence of your experience is very attractive to employers. Although your cover letter is a great way to take you experience and show how it is applicable for the position, make sure to have the company in mind. Depending on your field do some research, find out the company’s values and the company’s goals. In you cover letter address what you want to do for the company and how you would be an asset. In an economy where every job postings probably has hundreds of applicants, networking is very important. Look into Meet Up Groups, talk to your existing connections and maybe even try to work with a recruiting company. The first resumes to come in are most likely to be viewed. I love to automate as many things as possible, so to keep on top of new postings make sure to subscribe to as many saved searches as possible. LinkedIn, Indeed and Simply Hired all allow you to create saved searches. Most larger companies have a career section on their website where candidates can create profiles with all their experience and set up a saved search for jobs that meet their qualifications. It is a good idea to seek out the companies and look for the positions, because some companies do not use third party sites to find candidates. Job hunting is exhausting. It is important to pay attention to detail, any little mistake you make could discount you as a possible candidate. 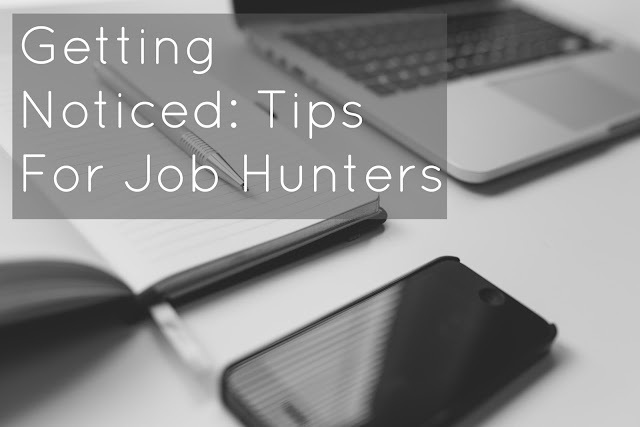 Hopefully these tips will help you conquer the job market and land a position. Good luck!